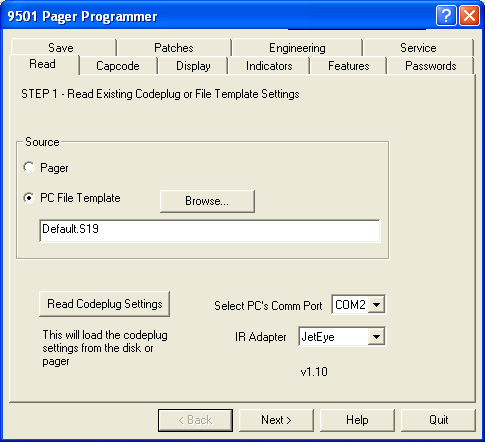 Version 1.10 of the 9501 PPS allows all aspects of the pager to be customized by Iridium dealers. The PPS was created by Hot Pepper Technology. Please contact HPT for customization of software for the 9501 Iridium pager.